Heinrich Hoerle (1895-1936), Cologne . With Howard Putzel (1898-1945), Putzel Gallery, Los Angeles, c. 1936? ; sold to Louise and Walter C. Arensberg, Los Angeles, 1937? ; gift to PMA, 1950. 1. According to Spies/Metken, Max Ernst, Oeuvre-Katalog, v. 2, Cologne, 1975, no. 674. Hoerle, a German artist and associate of Ernst, helped found the left-wing "Stupid group," an offshoot of the Dada movement, in Cologne in 1920. In 1925, the group expanded to become the Gruppe Progressiver Künstler, which disbanded in 1933. 2. The PMA Arensberg Archives, CA Use Tax provenance notes dated December 12, 1951, do not provide a purchase date (the provenance is given simply as "Putzel in L.A., dealer"). 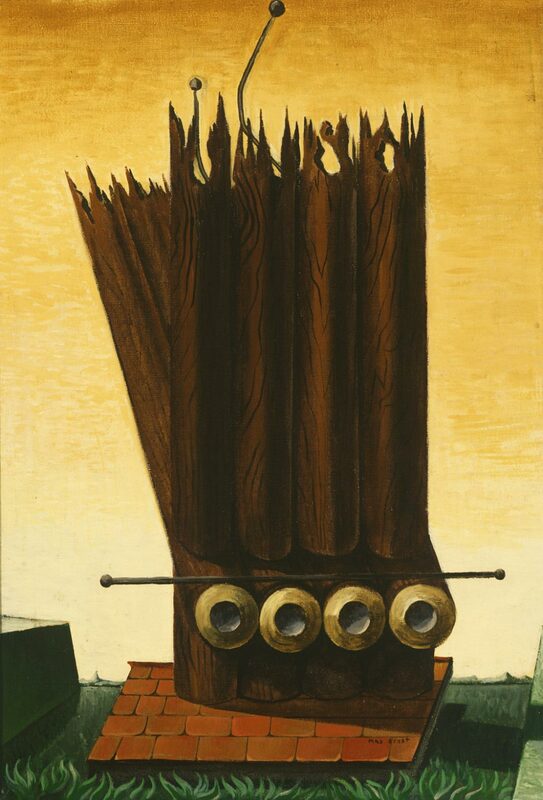 Putzel established his own gallery in August 1936, and in late April-May 1937 he exhibited works by Ernst. He had previously organized the first exhibition on the West Coast of Ernst's work, in October 1934 at the Paul Elder Gallery in San Francisco, followed by another show of Ernst's paintings at the Stanley Rose Gallery in Los Angeles in September 1935. Putzel may have acquired the painting shortly after Hoerle's death in 1936. It is likely that the Arensbergs purchased the painting around the time of the 1937 exhibition. The Putzel Gallery closed in summer of 1938 (see Lader, "Howard Putzel", pp. 86-87).